Full Circle Builders is a South Carolina design/build firm that has rooted its foundation in sharing the passion and unique vision of every client throughout the building process. 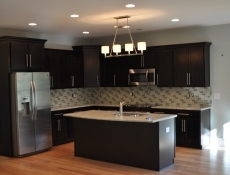 Our mission with every project is to serve the needs and exceed the expectations of our clients. 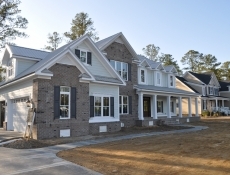 Full Circle Builders prides itself in delivering the highest quality craftsmanship, superior customer experiences with lasting value to homeowners. Our goal at Full Circle Builders is to build long term relationships. By using our collective skills, knowledge and proven track record to build a limited number of finely crafted and beautifully designed homes in the finest neighborhoods at an exceptional value. We build homes that reflect your passions and lifestyle. We are revolutionizing the way you build a custom house. Experience unprecedented Builder/Client communication and organization as well as instant selections and real time pricing updates all controlled by the Client. Watch this 2-minute video to see the experience in action! Download the PDF printable handout. In our efforts to be a leader in the custom building industry, we are constantly researching and incorporating the newest innovations. From traditional building practices to newer Eco-friendly methods commonly referred to as “green building”, Full Circle Builders has the expertise you are looking for. Give me a call today at (843) 238-8338, ask for Brad, I’m the owner and I will be happy to answer all your questions. Looking forward to hearing from you and assure you of our full attention at all times.